I absolutely love coffee. It’s not even so much about the caffeine boost. I crave the smell of a freshly brewed coffee, especially in the morning. Coffee is the world most famous beverage with over 400 billion cups of coffee consumed every year. Coffee is derived from coffee beans which are roasted, ground or dissolved in water. The main component of coffee is caffeine. Other compounds found in coffee are carbohydrates, lipids, vitamins and minerals (see also www.buzzle.com/articles/nutrition-facts-for-coffee.html). 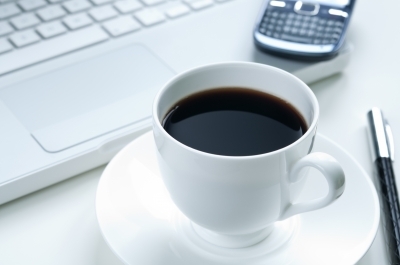 A normal cup of black coffee only contains about 2 calories. Good news for us coffee lovers is that more and more research suggests that drinking coffee daily (in moderation) is very healthy and there are some great health benefits associated with drinking coffee. Here’s my top 10. The caffeine in your coffee is a stimulant that can make you feel less tired and can increase your energy levels. After drinking coffee, caffeine is taken up in the bloodstream and from there, it crosses into the brain. Here, it blocks receptors for adenosine, a neurotransmitter which plays a role in promoting sleep and suppressing arousal. Actually, just the smell of coffee beans is enough to give most people an energy boost! Caffeine is a stimulant which shows effects on the central nervous system. It enhances and alters mood and increases alertness by enabling the brain to produce more dopamine and adrenaline than usual. This can improve your alertness and your reaction times and can improve your mood. Apart from the short term mental-health benefits of coffee, frequent coffee consumption has also shown to be protective against degenerative brain diseases such as Alzheimer’s and Parkinson’s. For Parkinson’s disease, the data have always been very consistent. Higher consumption of coffee is associated with a decreased risk of Parkinson’s. In studies coffee drinkers have a much lower risk of developing Parkinson’s disease, with a reduction in risk ranging from 32-60%. Coffee has also been linked to lower risk of dementia, including Alzheimer’s disease. Several studies show that those who reported drinking 3-5 cups daily have up to 65% lower risk of getting Alzheimer’s disease, compared with non-drinkers or occasional coffee drinkers. Coffee is the largest source of antioxidants from the diet. Even though fruits and vegetables contain a lot of antioxidants too, humans seem to absorb the antioxidants from coffee the most. Caffeine can improve athletic performance by increasing levels of adrenaline (the flight or fight hormone) in our blood and the release of fatty acids from fat storages and making them available as fuel for performance. On average, caffeine can improve performance with 11-12%. 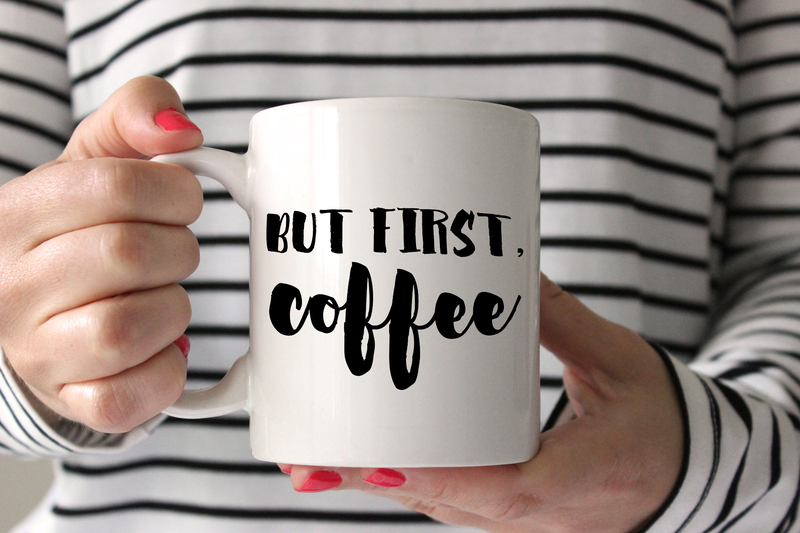 Drinking a cup of coffee half an hour before a heavy workout could therefore be a great idea, as long as you don’t take in too much caffeine in general, thereby reducing the effects of it. Coffee drinkers have a significantly reduced risk of developing diabetes type II. Studies show that drinking coffee can reduce the risk of getting the disease with 23-50%. Drinking three to five cups of coffee a day, reduces your chances of acquiring heart disease (see circ.ahajournals.org/content/129/6/643.long). Even if you drink more than 5 cups of coffee a day, the chances on a heart attack aren’t higher than for those who don’t drink coffee at all. Coffee may also counter several risk factors for stroke. 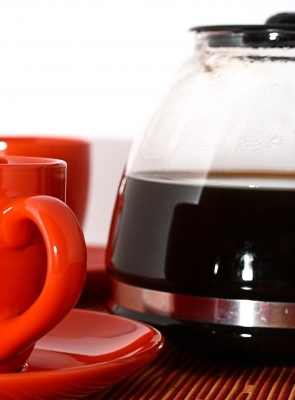 Especially for women, coffee may mean a lower risk for stroke. Coffee seems to lower the risk of developing depression and may reduce the risk of suicide significantly. the National Institute of Health found that people who drink four or more cups a day are 10% less likely to become afflicted by depression. In a study with 208,424 individuals it was found that those who drank 4 or more cups of coffee daily were 53% less likely to commit suicide. I wrote about the ‘coffee nap’ in a previous post. Drinking a cup of coffee right before your power nap will make you feel much more energized afterwards compared to having a nap without drinking coffee before. It takes time for the coffee to reach the brain, so as long as the nap is short (20 minutes), the caffeine won’t affect your sleep. Caffeine is one of the few natural substances that have been proven to aid burning of fat. Studies show that caffeine can boost the metabolic rate by 3-11%. Other studies show that caffeine specifically increases the burning of fat, up to 10% in obese people and up to 29% in lean individuals (see also ajcn.nutrition.org/content/79/1/40.full.pdf+html). Coffee therefore, is a very healthy part of our Western diet and a great option for a beverage. Be careful with the added calories from milk and sugar though! The recommended amount is about 400 mg of caffeine per day, which equals to 3-5 cups of coffee. Above this amount, the health benefits might not be present or there might even be adverse health effects. How to eat hummus like a pro. Wait…what? Is that healthy?